ONLY 40 HRS! HUGE SAVINGS! 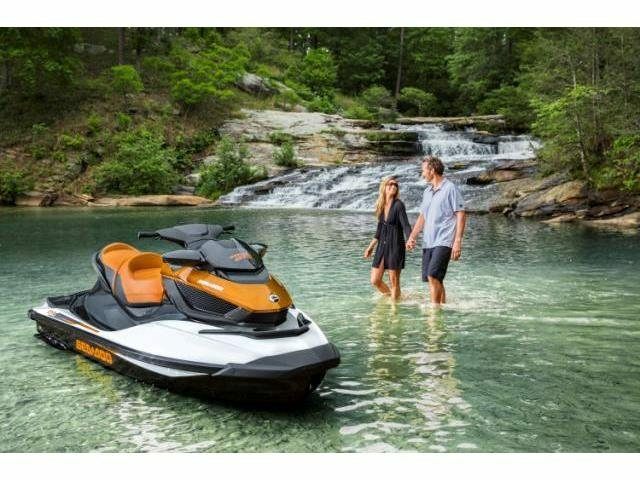 Sit back and enjoy the ride with a watercraft built for serious comfort and priced to save you more coin. Experience a smooth ride on any body of water, and thanks to its manually adjustable suspension, those long days of cruising just got even more comfortable. Uses coolant to keep the engine running at the ideal temperature, much like a car’s radiator. Also keeps out corrosive salt water and debris. Combines a series of resonators and vibration-absorbing components to make Sea-Doo watercraft some of the quietest on the water. This iTC function automatically determines the most economical power delivery and sets the optimal RPM for greatest fuel economy. 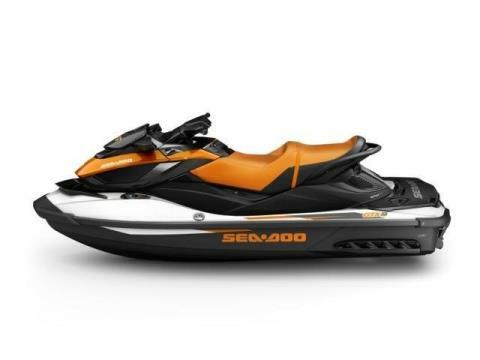 Makes reboarding from the water easier and quicker. Offer extra comfort, non-skid surface, and great looks. Easy-open seat with convenient stay-open support struts. 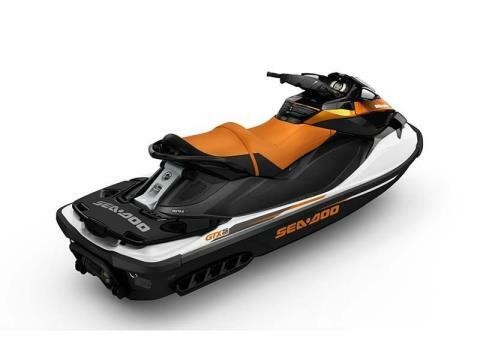 Provides easy access to the engine compartment while remaining attached to the watercraft. S³: Longer platform	Rough water inspired deep-V hull Stable and predictable Stepped, stable and strong. The stepped design reduces drag and keeps you glued to the water. The "Brain" that integrates and controls all systems to create the best possible ride. 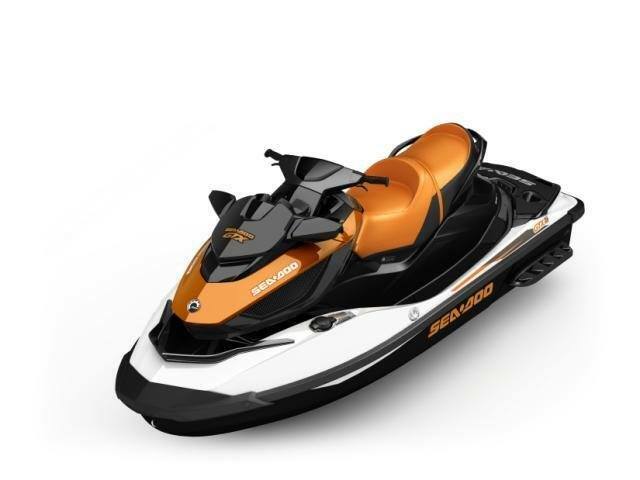 The programmable Learning Key allows you to limit the performance of the PWC based on rider skill level. Operating electronically, this advanced throttle system starts you in neutral for easier dockside starts. It also features an activity-specific cruise control, Touring, Sport and ECO modes that can all be set to accommodate your riding style. The result is a more responsive, more intuitive ride. Provides the operator with additional steering effect in off-throttle situations for greater maneuverability. 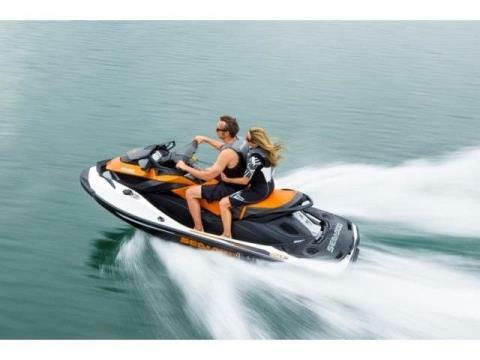 iBR (Intelligent Brake & Reverse) System: Sea-Doo’s exclusive on-water braking system lets you stop up to 100 feet sooner than competitive units. All with the squeeze of a lever. And with its electronic reverse, it gives you a level of maneuverability that makes docking easier. Stainless Steel Impeller: Delivers improved acceleration, higher top speed, and less cavitation. Easy access to battery, fuses, and storage. Now with radio frequency technology and a new ball-and-socket design, the new Digitally Encoded Security System (D.E.S.S.) key provides riders with easy and quick starts every time. Allows the hull to move independently of the upper deck, isolating rider and passenger from the impact of rough water. 5.5 inches of travel with manual adjustment under the seat so rider can adjust suspension to different water conditions and total passenger weight. For easy and secure attachment of ski rope. Four adjustable steering angles for maximum ease and comfort. Offers a choice between two throttle responses for different riding styles. Touring mode is the default setting offering a more progressive acceleration curve for a more confident ride - ideal for cruising and 2-up riding. Sport mode can be easily activated using the Sport button. It provides all acceleration performance for a more aggressive throttle response. Ergonomically designed for comfort and great looks, providing ultra-plush seating for three. Provides dry storage for luggage and necessities with easy access.